Your college dorm walls may be bland, but your dorm wall art doesn't have to be limited to your college posters. You want to create a unique and complete look in your dorm room decor and you can vary up your dorm wall art dorm essentials for a look that is all yours. While college posters are a basic dorm necessity that college students will head to college with, you don't want to forget about dorm lighting. Your dorm lighting can be part of your dorm room decor and can even be added to your dorm walls for a cool, high impact look. 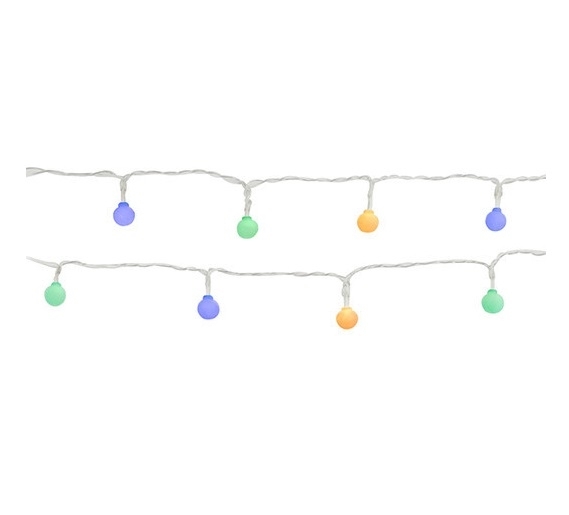 Our Lightbulb String Lights have a cool design that will add a pop of color and style to your dorm room decor. 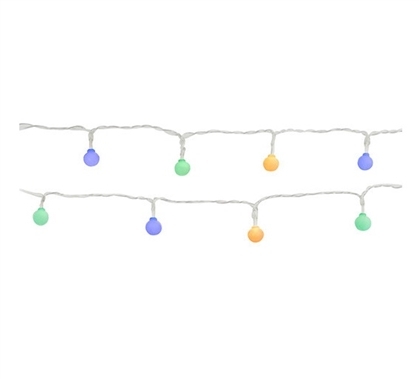 Featuring 40 miniature blue, green, and orange LED lights, these dorm lights will add both color and lighting to your college dorm room. These dorm essentials even have a unique look with the lightbulb style bulbs hanging off of the cord. Plus, with this dorm necessities item being powered by batteries, you won't be restricted for where you can place this dorm essentials item. You can make a design anywhere in your college dorm room with the lights or wrap them around a dorm item while allowing yourself an extra outlet for your larger dorm electronics.